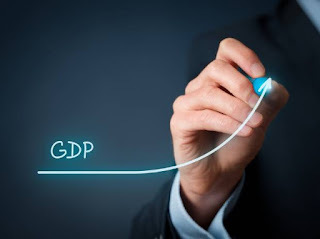 The nation's Gross Domestic Product (GDP) growth is expected to be higher at 7.8 % in the current fiscal, whilst it will be 'uneven', brace largely by strong consumption and public expenditure, as per Development Bank of Singapore. For the 2015-16 fiscal, the GDP growth has been fasten at 7.6 %. We expect growth to gain velocity in 2016-17 fiscal, with headline real GDP up at 7.8 %. Though the January-March growth proceeded better than expected on real GDP and Gross Value Added (GVA) basis, it obscure repressed weakness in fixed investments and in non-agricultural growth, the report said. The economy expanded by 7.6 % in 2015-16, government presume the economy to grow by 7-7.75 % in the current fiscal. Regarding the Reserve Bank of India (RBI) policy pose, the report said that limited reduction in the rate of inflation is expected to narrow the room for further rate cuts.